Since I first reported about the December 3 fire which destroyed the legendary Yangtze Chinese Restaurant on Van Horne Avenue in Montreal, there have been a record number of hits on my blog. Thousands of people from around the world responded with shock and sadness. Brian Yau, with daughter Bobo and son Marco admire the painting. Business Consultant Mel Leitman, whom I first met just a few years ago, was engaged by the new owners of the restaurant to help them rebuild. Things started to move a lot quicker than he or anyone else expected when owner Marco Yau, his sister Bobo and their dad Brian purchased the Tchang Kiang Chinese Restaurant at 6066 Sherbrooke Street West in NDG only a week after the blaze. It closed last July after 35 years in business. They already have a beautiful painting by noted artist Carole Spandau of the original Yangtze up on the wall. The Yaus renamed the place Tchang Kiang by Yangtze and in record time opened their doors to the public on December 17. Like a magician, Leitman helped make new menus – all of the Yangtze favorites, plus the Szechuan dishes Tchang Kiang was known for. Today, he invited me to meet the Yaus and sample some of the cuisine myself. Yangtze first opened in 1956. I came into the world six years later and I can safely say my parents starting bringing me there as a toddler. The Yaus realized that if they did not act fast, they ran the risk of losing their experienced staff of waiters, cooks and deliverymen. Just coincidentally, Brian’s friend was a real estate who was looking for someone to take over the Tchang Kiang location. In this case, Bobo agreed to become the principal owner. What followed was a raise to get all of the necessary equipment in place and to agree upon a blended menu. Word spread quickly and already they have the best of both worlds, with a clientele who missed Tchang Kiang and of course the Yangtze diehards. I dined on a hot bowl of won ton soup with dry noodles on the side, a delicious egg roll, some Cantonese lobster, beef with snow peas and broccoli, spare ribs, Tchang Kiang’s kouptien dumplings (steamed and lightly fried), pineapple chicken and steamed rice. It was all very delicious. Indeed, the Yangtze is already back better than ever! 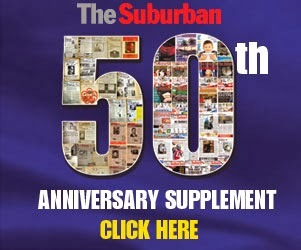 Go to http://www.thesuburban.com/ as of January 11 and check out our Suburban Mall for Yangtze deals. Good luck digesting that MSG. I'm a die-hard fan of both Tchang Kiang and The Yangtze, for the latter my dinning experience there started in childhood, back in the late 70's/early 80's. I had last dined at Yangtze in late November, just days before the fire. As always it had been an enjoyable meal and nostalgic taste of the past. With great eagerness I went to the new "Tchang Kiang by the Yangtze" tonight, on this Christmas eve. To say I was disappointed wouldn't cut it. Revolted perhaps is a better word. I honestly do not know what they are thinking, but what we were served tonight does not even remotely resemble The Yangtzee. Not even their staple egg-rolls. The plum sauce was a travesty, it tasted like raw corn syrup with sugar and water. Even the fried won ton noodles aren't the same, not even similar. The entire meal was, sorry to be so harsh, complete rubbish. What happened? Could it have been an off night? I wish I could believe that, but the taste and presentation of the food was so drastically different, I can't believe this is being herald as the Yangtze resurrected. And it was different in a lazy, sloppy, poor quality way, not merely different (different I can accept; poor quality I cannot). I'm vastly disappointed to say the least, I seriously doubt I will ever return. At least not to the restaurant on Sherbrooke St in NDG. I am interested in what other long-time Yangtze fans have to say. Absolutely horrible. Worst Chinese food I have ever eaten. Never again! Since it's re-opening, many people have already given it reviews and noted that the food was NOT the same and in general no good. Plum sauce being a mixture of food colouring and corn syrup with no flavor - an option however to pay a surcharge to have the Yangtze plum sauce is available. I must have eaten at a different restaurant, as the food there was horrible. I've been there twice and on both occasions it was fantastic food and service. These folks don't know what they are talking about. They should shut back down until they get it right. Or even just palatable. we ate there again yesterday- 3rd time. These guys are really trying hard to please and some customers are awful with their criticism (at the restaurant). 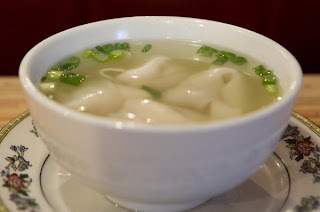 We had hot and sour soup,wonton soup,garlic spareribs, koutien dumplings and moushou pork. Everything was delicious and the service fantastic. They now take credit cards. No it's not exactly the same because it is really two menus. The food at Yangtze was a culture in itself, but not high quality like Tchang Kiang was. Now you have the best of both. "Now you have the best of both." Huh? Please *DO NOT* insult the former Tchang and Yangtze, neither served the slop we're now seeing here. Yeah, slop. This new restaurant is on the same level as camp or hospital cafeteria food! Unless they revert back to the original recipes, then THE YANGTZE IS DEAD. That fire was its death, and it's not coming back. Neither will any of its customers as they have the misfortune of tasting this slop being served. Maybe they can build a new customer base, but again, please do not compare this abomination of a restaurant to The Yangtze (RIP) or Tchang Kiang (RIP). Stop pretending this restaurant is either of them. My family ordered in and we where extremely disappointed 1st of all 2 items we ordered did not come, they sent 1 dish we didn't order that none of us liked at all. The pineapple chicken might have been called chicken in cherry sauce as there was no pineapple at all. I happened to pass by the restaurant last Thursday evening (around 7:15pm) and peeked in. Almost totally dead, there was only one person seated at the restaurant! That to me is a sign people are starting to discover just how awful this restaurant is. Understand when food is THAT bad, word gets around. As the old saying goes, "Fool me once, shame on you; Fool me twice, shame on me". Well what can I say. I sincerely hope the Tchang Kiang by the Yangtze goes under and closes. Perhaps it will be a good slap in the face for the owners, who by the time they rebuild The Yangtze on Van Horne, are wise enough this time to bring back the ORIGINAL recipes and without corner cutting. If not, then the Yangtze's fate is sealed and both restaurants will vanish. This is the 4th time we ate their food. People are just crab apples! Vicious!. We ordered dinner #3 for 2 Yangtze. Everything was delicious except the sooguy. They just can't get batters right. Way too thick and heavy. The Tchang dishes are bang on! It seems that too many people are just looking for flaws. There was another Chinese restaurant I loved from childhood called The Dragon House (in Cartierville). Sadly it went under 10 years ago and I missed it terribly, but this summer I discovered they had a sister restaurant still operating in Lachine. Went back and discovered most of their recipes had changed (except the egg-rolls) so I was disappointed, HOWEVER the quality was still excellent. Fresh, tasty and enjoyable, even if very generic Chinese food. So I was disappointed it had changed, but will still go back. Change doesn't mean I will shoot down a restaurant. Now, the Yangtze has changed, but that is not why we're shooting it down. No, I'm shooting it down because it wasn't merely different food, it was just BAD, AWFUL, and INEDIBLE food. The fact they're using raw corn syrup in place of plum sauce says it all, they don't care about quality or pleasing their customers...it's just a money grab now. I'm not going back to the Yangtze because it's different, but because it is bad. went there when they first opened with 3 friends. Some of the people had the traditional yangtze menu and others had regular chinese. Yangtze was passable but egg rolls not the same. The plum sauce was o.k but not as I remember it. The regular chinese dishes were overpriced and not very good. The serving size was small. This is not the old Yangtze. This a entirely different. Wonder if the original cooks are really there as we did not see any of the older waiters just some young servers. They say that they kept the old staff well I did not see them there. Really sad that the Yangtze as I remember it is gone. Surely this article is a joke! 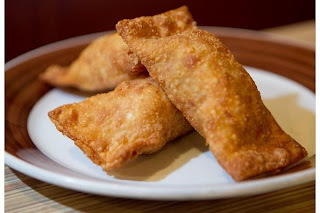 We ordered in last night, and although only one block away, the food was lukewarm: Tasteless Eggrolls filled with cheap ground pork - Chicken Su Guy (supposedly a specialty of theirs) clearly made from frozen chicken nuggets! And the Dumplings, *BLECH* Rubbery and blandly flavored. Not even the rice was acceptable, having the consistency of porridge. This restaurant is serving worse than shopping mall food court fare! out of this world, These delicious egg rolls, the best in Montreal? the worst in NDG. NO DAMN GOOD. If you are unlucky you might lose some teeth. The outstanding sauces? the fish chiken dish is a must. a night you can't forget in what way?!! you should try and you'll know what I'm talking about. don't mix up the rice with mashed potatoes, and dumplings which really dumps you in every other way. Well this was our 4th visit and again we encountered obnoxious customers giving the staff a hard time about the differences in taste between the defunct Yangtze and the new one. People also had these coupons that they purchased on line and raised hell because the restaurant staff would not cover combination meals. The coupons were misleading- BUT- Yangtse didn't sell these coupons. You could hear loud customers all over the restaurant being rude and demanding. Others like us wanted to crawl into a whole being so embarrassed by their behaviour. The food was great! When we asked for a thin batter on our pineapple chicken, we got it. The eggrolls and the plum were exceptional!We had dinner #5 for two. Total with tax was $43, with enough food to take home for TWO MORE MEALS! When we hear these people who complain so rudely and almost become threatening, we are ashamed to be Jewish! Give me a break Marco, Brian or Bobo, whichever one of you is posting here. Do you really take us for being blind fools? So someone posts here complaining about customer attitudes towards the staff, AND claims that putrid liquid vomit being passed off as plum is "exceptional"?! And claiming contrary to what has been reported about portions and pricing? Plus to top it off, making negative remarks about Jewish customers? If anyone should be ashamed, it is your family, pretending to be customers by posting in the comment section. Furthermore for ruining a Montreal landmark. "real customer" sure fits the profile of what we were talking about when it comes to being obnoxious- chosen vocabulary shows we must have hit a nerve. And we are Jewish and yes we are embarrassed! And we are real customers! The bottomline is if these bad experiences are not isolated, and the food is as bad as described, the end result is clear. The restaurant will go out of business. Price gouging is only going to accelerate this. IMO, The Yangtze died when the restaurant burned down. RIP. we had a great meal there last night Tuesday. KouTien, salt and pepper shrimp, mooshoo pork, and chopsuey wonton soup. will go back for sure. My wife and I went to Tchang Kiang last Saturday night. It was great. I am a real fan of Cantonese dishes, having been brought up on Ruby Foo's food. Too bad, I am limited on how much of that sugar etc. I can consume on a regular basis. I did frequent Yangtze and ordered lunches from there every month or so. What was also pleasing was the fact that we went before 6:00 PM, there were a few parties waiting to be seated before us. However, once we were seated, the door kept opening and people were pouring in. Both for the take out and sit down. By the time we left a little after 7, the line up was almost as big as Schwartz's. (LOL). Looks like they will be around for long time. Next stop Ettinger's. Well I'm glad you're enjoying the camp-food/hospital cafeteria slop they're serving. To each his or her own. However you can bet people like me and others, who actually have taste buds and an appreciation for quality food, will NEVER return. I used to eat at the Yangtze and Tchang Kiang long before the take over, and neither served food like this. Not even close. So any word on whether they got the egg-rolls and other dishes back on track? Are they even going to try? For ruining what was a landmark restaurant in Montreal. The Yangtze had been around for decades, and while I'll admit it had off periods, at least the former owners always tried and respected their customers. Mr. Yau and Mr. Leitman obviously think very little of their customers. Serving corn syrup in place of plum sauce? The whole theme of the restaurant among staff is now a game...how cheap can we be with ingredients, quality and preparation, and how much can we overcharge in the process? I'm sure Mel told him your clientele are just old, mindless sheep-people, they'll eat ANYTHING and PAY ANYTHING if you slap the Yangtze name on it. Well, fool me once, shame on you. Fool me twice, shame on me. I've eaten lots of bad restaurant food in my lifetime, but Tchang Kiang by the Yangtze has made the very top of my bad food list. I'll bet you think I'm exaggerating for affect, but I'm dead serious. I came out feeling sick from the taste. I only wish the original owner would buy it back and bring back their old recipes, but that's sadly just a dream. we ordered dinner #4 for two and had it delivered. Everything was hot and delicious.Unexpected considering the number of bad reviews. But we have been there several times now, ordering from both menus and we were only disappointed once. There have been negative reviews on this restaurant everywhere (e.g. Facebook, Chowhound, Urban Spoon, Google review, etc), not just here. Positive reviews are practically non-existent, and when I see them, they're so over the top I suspect its the owners themselves posting. I'd have to see a HECK of a lot of positive reviews before I'd ever go back and try them again. I'm sure some of you think we're complaining just because its something new or different...but it's not that. It was just incredibly bad. Honestly, and I'm not saying it for effect, if they offered their food free I wouldn't go back, it was really that inedible. Well I'm pleased to say I've finally moved on, and washed my hands of The Yangtze FOREVER. If you're in Chomedey, Laval, try China Delight (Les Delices de Chine) on Samson boulevard. It's so good, it's actually leaps and bounds above the *old* Yangtze on Van Horne that burned down! Fresh, tasty and absolutely delicious! And yes, all the staples are there: crunchy egg-rolls, chicken fried rice, pineapple chicken, dry spare-ribs, almond chicken, etc. Just re-discovered the restaurant last month, apparently under new ownership and to my surprise, the food is to die for! Exactly the opposite experience I had at the Yangtze in NDG! At this point I don't care if Yangtze rebuilds on Van Horne, or reintroduces their old dishes or not. I'm done with them and found myself a new place for old-school Chinese food. I recently had a wonderful, delicious and totally nostalgic indulgence. A perfect one, at the end of March 2012 when, as newly-retired glutton-in-chief, I visited Montreal from the USA and shared a dinner with my 91 year-old mom and my nephew and his family. I earned authority to comment by over-enjoying Yangtze food from the 1960's and on, with buddies from McGill (I call this cuisine "Montreal Chinese Candy"). Must have been there over 100 times, through the decades. I was disappointed to see that "Yangtze" was not prominently displayed at the street view (we missed it driving by several times) and that the restaurant was fairly empty. Also, parking seems uncertain. However, our dinner was indulgently delicious and exactly as I recall the aromas, tastes and textures. Nothing had changed (from pre-fire days) in my opinion, regarding the crucial eggrolls, the plum sauce, the garlic ribs, the won ton soup, and the ample dinner #3 or #4 for 4 people. Nothing. Yangtze was alive ! I am hyper-critical on food, but could find no fault with any of the dishes. The meal was the perfect harmony of tastes, textures, fragrances and sticky yumminess that fulfilled high expectations (for the part of me that rejoices in this cuisine, on occasion). Dear people, of course the Yangtze portion of the menu is not an authentic chinese cuisine - it is a magical, mystical "memory food" for spoilt, indulgent, nostalgic chazzers and is always to be consumed in quantities that compromise your capacity to breathe. Elderly beware! So, in summary, the restaurant "l'Eau A La Bouche" has it's place in life and the Yangtze has it's place in life. It's important too, so don't mess with our Yangtze !! I guess they must have some really bad days. This would support the barrage of negative comments. I think the reason is that most people are disgruntled with the increase in prices and so in turn, look for every possible way to find fault. We have eaten there at least 7 times and ordered in twice. Most of the time it has been delicious, from both menus. Definitely pineapple chicken is too doughy. But we now know to remind them that we want a thin batter and there is no problem. The sauce on the spareribs could be thicker. Based on your review, it sounds like they MAY have at least returned to palatable food recently. But please, trust me, the negativity I voiced in December last year was NOT out of spite because of increased prices. I judge restaurants on one thing, and one thing only: THE FOOD. Cost, service, decor, selection....all secondary. And here, the food was just completely inedible. I wish I were exaggerating, but I'm not. I'm being completely honest and level headed here whether you believe me or not. The plum sauce for example (something that stands out in my mind) was a thick gooey paste, almost tar-like in substance. It was just raw unprocessed corn syrup some artificial flavoring mixed in. It tasted like melted Halloween candies, just vial and putrid. The rest of the food was just like a described it...not passable in the least. I'm willing to give them the benefit of the doubt that this was just problems with re-starting at a new location, but seriously, there is bad and then there is just inedible. This was the latter. You'd think they'd taste what they were serving? I love old school Chinese food. As the person above put it, it's "Montreal Chinese Candy"! Though high prices or not, if there's good food to be had, I'll pay. Even if the service is rotten, I'll still come back...it's all about the food. At any rate they lost their chance, we moved on after decades of being a loyal customers. China Delight is our new place to indulge for Montreal Chinese Candy. Like everyone on this board, I grew up eating Yangtze for the last 37 years and my parents before me when they lived the neighborhood as kids. Unfortunately i have to agree on the comments in this thread. last month i finally went to the new restaurant and was surprised on many levels. First, the two waitresses that night were caucasian students that had likely never been to the original Yangtze and had no knowledge of the dishes and history. The decor and old Chinese guys added to what this restaurant was. When the food arrived all but the garlic beef tasted wrong. The wonton soup which I always felt was the best anywhere, tasted like bad buffet soup, the other dishes all seemed just OK, on the same level as TIki Ming food court Chinese -edible but not Yangtze. The only dish that tasted somewhat similar, (although with a thinner sauce and more refined presentation) as mentioned above was the garlic beef. I WISH the old Yangtze was still there. Recipes dreamed up by the original chef and one of three original owners Danny have been completely lost likely through multiple changes in ownership over the last 15 or so years and changes in staff. This has just become a simple restaurant which may or may not survive but it can no longer be considered a Montreal institution. So sad! Was on Van Horne yesterday, drove by the original Yangtze location. All traces of the original restaurant are now gone--forever. In the place where it once stood are generic glass windows and doors, presumably for a pharmacy or other strip-mall stores. Couldn't help but also glance over at where the Brown Derby once was just a block over (now a Tim Hortin's and Dollar store), another former Montreal landmark restaurant forever gone. I think this restaurant needed a period of adjustment. The first time I went was when I learned that the Tchang Kiang reopens. I was frankly disappointed. However, I thought that it must be because the restaurant had just reopened. Some time later, I returned. It was much better, however, I do not understand why some people are bent by constantly want to add comments on the fact that they did not like their experience. In my opinion, if you ask a breading thinner, that owners should always make due to high demand, this is much better. The only downside for the moment I can really say is that Koutien are thicker and the atmosphere is not quite the same since the previous owner has closed. She always recognized and even my grandparents and their food favorites. Leave a second changes it's worth, I liked! The restaurant also lacks a little atmosphere just because of the small number of customers because of the reviews here, I think. It was not long ago that I just went to this restaurant with my sister. What is very funny is that she told me she wrote a comment on the restaurant just as I was about to write a comment. This restaurant is close to our heart for special reasons related to our childhood and family. The restaurant of my childhood was the Chang Kian. I'm a little disappointed with the food and especially breading fried chicken with pineapple. However, it has a good flavor. Owners should really consider changing the breading! Thinner please!! I beseech you, it would be more flavor! In addition, we should not have to ask because everyone talks about it. I would say that the taste of the food is good. The owners of the old Yangtze restaurant kept the traditions of Chiang Kian and that's fine. I just saw the comments about the dragon's Cartierville district. It is true that it was good and I was disappointed when it closed because I come from that area and my father and our whole family even took us there to eat when my parents did not cook. I went to Chiang Kian for food and the corner of my mother's childhood. I really want to apologize for the misspelling of the name of the restaurant because I am French Canadian from Montreal and I am on google translation. The website changes the name of the restaurant and his writing. I tell you this because the atmosphere before really belonged to the former owner who spoke impeccable French! I really miss it. However, I would add that the food is not bad at all, but owners should consider our comments! especially on the breading. I would also add that even if the texture is not the same taste is good! Demolish a restaurant and its reputation does not serve anyone. Must give constructive feedback. Quality of food, how to cook food, the taste of food. It must be constructive. I would say that there has been a marked improvement since the last visit I made. But it is sad to see the lack of atmosphere, the restaurant empty and all that. It would be easier not to think about the old restaurant and enjoy a little something that remains of the old NDG time in the 70s or the old NDG time 50 years! It is a tradition in Montreal!! If you do not like it, nobody's forcing you to go !!! If you are greedy, you'll love! This is a style to keep the menu and change ... It's a little more style Chinatown. This is both enjoyable! If you need to order, please because otherwise it is disappointing and we lack the white tablecloths!! I would add that it would be best to put the tables with white tablecloths and tea quality! it will make everyone back for sure!! I know that the menu is the same, but COM'ON!! It's good food, but we are nostalgic! The Yangtze burned down. Tchang Kiang went out of business. Both restaurants are gone forever, they no longer exist. What we have now has no relation to either restaurant, it may as well be a random food court restaurant in Winnipeg, under the name "Xiwnuyru". Just because there's a few familiar names and a location, doesn't change the fact. Myself and others gave them a chance and they failed, miserably. Best of luck to this restaurant, maybe it'll do well one day and get a following, but just stop pretending it's something it's not. The Yangtze is no more.